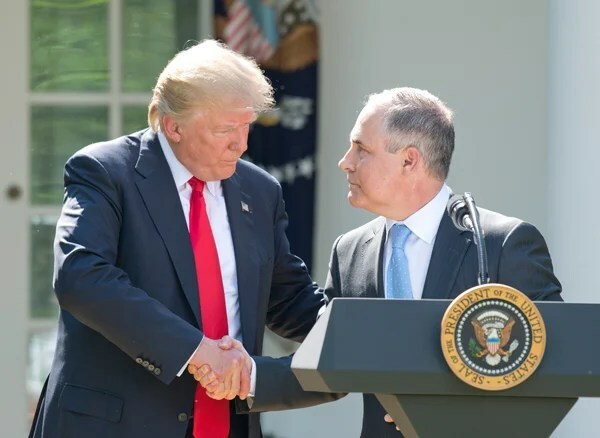 U.S. Sen. Ted Cruz (R-Texas) applauded EPA administrator Scott Pruitt’s announcement that he is ending “sue and settle” practices within the agency, and urged his colleagues in Congress to pass the Sunshine for Regulatory Decrees and Settlements Act, which would enact this policy into law. In April 2013, February 2015, and January 2017 Sen. Cruz cosponsored the Sunshine for Regulatory Decrees and Settlements Act of 2017, introduced by Sen. Chuck Grassley (R-Iowa). Environmental Protection Agency Administrator Scott Pruitt spoke to me earlier this week at The Heritage Foundation’s annual President’s Club meeting in Washington. We discussed his leadership of the EPA, the agency’s top priorities, and what Pruitt considers true environmentalism. An edited transcript of our interview, along with the full video, is below. Bluey: You’ve had a busy week. On Monday, you took a decisive action and ended the sue and settle process that has been plaguing the EPA and our government for a number of years. Can you explain to this audience why that is so significant and what it actually means? Pruitt: Yes, well, it’s good to be with you. In fact, I see [former Attorney] General [Edwin] Meese here in the front and it’s always good to see General Meese. He has served as a great inspiration to me over the years. With respect to this particular question on sue and settle, it is actually something General Meese talked about back in the 1980s. We’ve seen agencies at the federal level for many years engage in rulemaking through the litigation process, where a third party will sue an agency and, in the course of that lawsuit, an agency will agree to certain obligations. Maybe take a discretionary duty under statute and make it nondiscretionary or there will be a timeline in a statute and they’ll change the timeline. But suffice it to say, they engage in what we would call substantive rulemaking, and then the court blesses it without much inquiry. The agency will take that consent decree and go to the states and citizens all over the country and say, ‘Thou shalt,’ and sometimes that mandate is totally untethered to the statute—the obligations that Congress has passed for that agency to engage in. My job is to enforce the laws as passed by whom? Congress. They give me my authority. That’s the jurisdictional responsibilities that I have, and when litigation is used to regulate … that’s abusive. That’s wrong. It is fifth-grade civics. I don’t know if they teach civics in fifth grade anymore, but at least they used to. I hang out at the executive branch; we’re an executive branch agency. My job is to enforce the laws as passed by whom? Congress. They give me my authority. That’s the jurisdictional responsibilities that I have, and when litigation is used to regulate … that’s abusive. That’s wrong. We took the first step under the Trump administration [Monday] to end the sue and settle process entirely at the EPA. It is not just an attitude shift, not just a commitment to not engage in sue and settle and regulation for litigation. We actually put directives in the memoranda, safeguards if you will. For instance, if there is settlement that we are engaged in, settlement discussions with a third party that sued the agency, we will post that settlement for all the world to see, for at least 30 days, for people to comment on it across the country so that there is transparency with respect to those discussions. If a state seeks to intervene in litigation with respect to issues that impact them, we’re going to have a very generous and accommodating attitude to our states participating in those settlement discussions. But here’s one of the more important ones: in the past the sue and settle process has been affected by third parties. They would go to the EPA and they would say, ‘Let’s work out a deal,’ and, as I indicated, go to the court, put it within a consent decree without any type of transparency. But then here’s the kicker: They would pay attorneys fees to the group that sued them. So the group is effectively engaging in rulemaking and they get attorneys fees to get paid to do it. In my directive to the agency, I said this: We’re not going to pay attorneys fees anymore in that regard. If we have a settlement and there’s no prevailing party, there shouldn’t be attorneys fees. We’ve directed no attorneys fees as part of the end of this sue and settle practice. It’s been a busy week already but every week is that way. Bluey: The left, over the past generation, has defined environmentalism in a way that is counter to freedom, conservation, even science. I want to ask, what do you consider true environmentalism? Pruitt: That’s a great question, and it’s one our society needs to ask and answer. The past administration told everyone in this room at some point, told the American citizens across the country, that we have to choose between jobs and growth and environmental stewardship. We’ve never done that as a country. To give you an example, since 1980, there are certain pollutants that we regulate under the Clean Air Act, criteria pollutants, they are called. … We’ve reduced those pollutants over 65 percent since 1980, but we’ve also grown our [gross domestic product] substantially. We, as a country, have always used innovative technology to advance environmental stewardship, reduction of those pollutants, but also grown our economy at the same time. It was the past administration that told everyone that you had to choose between the two. That just simply is a false narrative. It’s a false choice, so we need to ask ourselves, what is true environmentalism? True environmentalism from my perspective is using natural resources that God has blessed us with. True environmentalism from my perspective is using natural resources that God has blessed us with to feed the world, to power the world with the sensitivity that future generations cultivate, to harvest, to be respectful good stewards, good managers of our natural resources, to bequeath those natural resources for the next generation. It would be like having this beautiful apple orchard that can feed the world and the environmental folks of the past would say, ‘Build a fence. Don’t touch the apple orchard, though it can feed people.’ That’s not the proper approach. They would say it’s so pristine and we shouldn’t touch it. That’s not what we should do. We should harvest that apple orchard. We should use it to benefit our fellow mankind, but with environmental stewardship in mind for future generations. We can do both. That’s what we need to do with the EPA going forward and we are doing that. Bluey: I’m glad you brought up [former President Barack] Obama and his administration because the media often portrays him as an environmental hero and you’re portrayed as the villain. What are you most frustrated about with the media’s coverage of you personally and the EPA in general under President Trump? Pruitt: Well, I don’t like the hero-villain thing that you put me through there, but when you look at the past administration and what they actually achieved as far as environmental outcomes, they did not achieve very much. In fact, look at those criteria for what we do regulate. One-hundred-twenty-million people in this country live in areas that don’t meet air quality standards. That’s what the previous administration left us with. 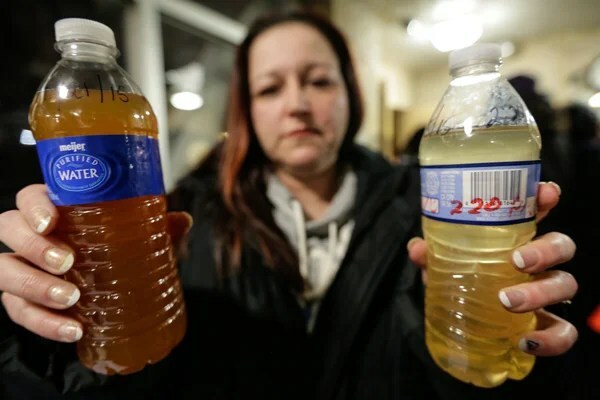 They had Flint, Michigan, and Gold King, Colorado, with respect to water. With respect to those areas that we regulate that have land waste, we have more sites than when President Obama came into office. [W]hen you look at the past administration and what they actually achieved as far as environmental outcomes, they did not achieve very much. They tried to regulate carbon dioxide twice and struck out twice. So really when you look at that agenda, what did they actually achieve other than uncertainty and adversarial relationships with those across the country? When you look at farmers and ranchers, for example, they are our first environmentalists. They are our first conservationists. When you look at the greatest asset that they have it is their land. They care about the water that they drink. They care about the air that they breathe. We should see them as partners, not adversaries. We should see them as states in the same vain. They have expertise and resources that we don’t have. We have resources that they don’t have. It should be a partnership and collaboration. I’ve been on a 25-state tour over the last two to three months with respect to the Waters of the United States rule. We’re withdrawing that rule. We’re getting that right. As we’ve gone through that process, I was in Utah with Gov. [Gary] Herbert talking about issues there, the second driest state in the country. The very next day, I was in Minnesota; [there are] different issues in Minnesota with respect to waters than in Utah. As we do our work in D.C., we should do our work in collaboration and in partnership, in cohesion with states so that we can work on environmental issues from Superfund to air quality to water quality across the full spectrum in things that we do in partnership with those folks. That’s the failure of the past administration. They saw them as adversaries and not partners. Moreover, they acted outside the scope of their authority, which created tremendous uncertainty. President Trump, who is doing a fabulous job, is leading with great courage and conviction. He’s in the White House today because of two primary things: the American people want courage and they want action, and he embodies both of those in his leadership. But as we look to these issues in areas that we regulate with respect to air land and water, these are issues that we ought to be working together to achieve and setting clear objectives. Where should we be in air quality in two to four years? Where should we be in investment of air and water infrastructure? How do we improve remediate those sites with respective to the Superfund? Let me give you an example. There’s a site just outside of St. Louis, Missouri. It’s a site that has 8,000 tons of uranium from the Manhattan Project commingled with the 38,000 thousand tons of solid waste dispersed over this large geographic area outside of St. Louis. We’re getting back to the basics and we’re operating under the rule of law. It was discovered in 1970. In 1990, the EPA listed that site on the national priority list. Twenty-seven years later, as we’re in this auditorium together, the agency still has not made a decision on how to remediate that site, excavate, or cap the site. Twenty-seven years … to not even make a decision? That’s totally unacceptable. In fact, that’s one of the things that as I came into this position, I was so stuck by. As I was engaged in meetings at the office, there just appeared to be a lack of urgency, a lack of focus, a lack of energy to do what’s right to serve the American people—the fundamental way to provide real, tangible environmental outcomes in water, air, and Superfund. We’re getting back to the basics and we’re operating under the rule of law. We’re respecting process and we’re also engaging in federalism principles to ensure that we’re partnering together. It sounds like a pretty good agenda to me and I think in this country, we ought to be adopting that, not vilifying it to your question. Bluey: I want to ask specifically about the Waters of the United States rule you raised. At Heritage, it’s an issue that we’ve done a lot of work on. It’s something we recognize that has a tremendous impact across this country. You’ve made a decision that you were going to conduct a reevaluation. What are your goals as you go through that process and coming out of it? Pruitt: Clarity. I mean, that’s what’s so crazy about the past administration. … Let me give you a little background. The last time we defined that was 1986 as far as Waters of the United States. We provided guidance in 2008; that’s about as far as the definition of a water of the United States is. So the past administration said we need to provide clarity across the country when federal jurisdiction begins and ends. If that was their objective, they failed miserably. Because people all over the country have no idea today where federal jurisdiction begins and ends under that 2015 rule. I mentioned Utah. I was in Salt Lake City with Gov. Herbert with an Army Corps of Engineers representative about two months ago. We were standing outside of this subdivision and this Army Corps of Engineers representative pointed to this thermal drainage ditch and said, “Scott, that is a water of the United States,” and I said, “It’s not going to be anymore.” That’s really the challenge here—that you had so much confusion and uncertainty about what waters were in [and] what waters were out. They call this deregulation. This is regulatory reform, this is regulatory clarity. We’re getting rid of the deficient rule and then we’re going to provide a new definition that provides bright line criteria by which to define where jurisdiction begins and ends. So what does that mean? That means land use across this country is held hostage because folks aren’t going to deploy capital. They aren’t going to allocate resources They aren’t going to put capital at risk and then face a fine five or 10 years from now saying you should’ve had a permit because this is covered under Waters of the United States. The No. 1 objective is to get the definition right and to provide clarity across the country on when federal jurisdiction ends and we’re going to do that in 2018. We’re going to withdraw the rule that’s in place right now and that will be finished by the end of the year. Then we’ve got a substitute definition, and this is where the environmental left misses it. They call this deregulation. This is regulatory reform, this is regulatory clarity. We’re getting rid of the deficient rule and then we’re going to provide a new definition that provides bright line criteria by which to define where jurisdiction begins and ends. That’s so key and that’s what we are going to accomplish in 2018, and it’s not going to be the federal drainage ditch. Bluey: The Clean Power Plan is another major action you’ve taken recently. In the same context, what are the implications of doing away with that? And where do you see it going next? Pruitt: For the first time in history, the Supreme Court entered a pending litigation and issued a stay of enforcement against the Clean Power Plan. That case is being litigated in the D.C. Circuit. The Supreme Court intervened and said stop the enforcement of the rule because it’s going to impact the marketplace in ways that we don’t think meet the statutory criteria or authority of the agency. So again, uncertainty. We had uncertainty in the utility sector, so let me say this to you: generally, from a regulatory perspective this is going to be a very profound statement, regulations should make things regular. That’s our job to take a statute and administer the statute and make things regular across the full spectrum of people subject to the statute or subject to the regulation. It’s not to pick winners and losers. The president made a tremendously courageous decision by saying we’re going to get out of the Paris accord, put America first, and make sure that we lead with action and not words. It’s not the job of the EPA to say to the utility company in any state of the country, you should choose renewables over natural gas or coal. We need fuel diversity in the general electricity. We need more choices, not less. No agency at the federal level should use their coerce power to force business utility companies to take those fuel sources away. They should be making it on cost, stability, and I would say resiliency of the grid. The president talks a lot about economic growth. We’re already at 3-plus percent and this tax cut package is going to provide tremendous growth. When you grow your economy at 3 to 4 percent as opposed to 1 percent, the power grid, the resiliency of the power grid takes more significance, so when you reduce fuel sources that takes on more vulnerabilities. We need solid hydrocarbons like coal to be stored onsite to address peak demand. We need natural gas, we need renewables, we need all that. Chancellor [Angela] Merkel, in this Paris accord situation, I know you didn’t ask about this, but I have to get this in, when we talk about this Paris accord issue, if Germany is so concerned about this reduction of CO2, why is Chancellor Merkel getting rid of all nuclear in Germany? Its hypocritical and, by the way, we’re at pre-1994 levels in this country and from 2000-2014 after we exited Kyoto, we reduced our CO2 footprint by 18 percent, almost 20 percent, and that’s in the same timeframe. This country has alway led with action, not words and labels like Paris. The president made a tremendously courageous decision by saying we’re going to get out of the Paris accord, put America first, and make sure that we lead with action and not words. Bluey: What is your strategy for rolling back cumbersome regulations that hurt small businesses? Pruitt: There has been a threefold strategy that has been introduced to the agencies since Day One. In fact, as I addressed the agency on the first day, I talked about three primary things. One, respect for rule of law. The only authority we have is the one Congress gives us in the statutes, which enhances regulatory certainty when we act congruent to statutory guidelines. Secondly, we are going to respect process, which means that as we go through rulemaking, we’re actually going to do what Congress says. We’re going to propose a rule. We’re going to take comment and it’s our responsibility to respond to that comment. Then, we’re going to finalize that rule by being informed of how it’s going to impact folks all over the country. That’s good. That’s how consensus is built. Thirdly, we’re going to respect federalism. Congress is prescribed into the Clean Air Act, into the Clean Water Act certain responsibilities placed upon states. They imagined and really believed that we can work together. [Trump is] in the White House today because of two primary things: the American people want courage and they want action, and he embodies both of those in his leadership. Those are the three primary principles by which we are doing our work. I think as we do that, it’s going to create better outcomes for air, land, and water, as far as environmental outcomes. But as far as when you look at the disrespective process—that’s the reason the sue and settle aspect makes the remedy there is so important. I think if we get back to the basics there and focus on those three cornerstone principles, we’re going to see better outcomes as far as air attainment, water infrastructure, sites being remediated on the Superfund list, and it’s going to be very encouraging. And for small business, we’ve also done something else. President Bush introduced something, and it actually dates back to the Clinton administration. It was called the Common Sense Initiative. President Bush built on that and called it the sector strategy, where we bring in sectors of our economy—farming and ranching, chemical companies, energy, oil and gas, and others. We’ve updated that because it went by the wayside under the Obama administration. We’ve revived that and we’ve created something called the smart sector strategy. Those businesses are now dialoguing with us on how we can work together going into the future to achieve better outcomes in the environment. Bluey: What’s an issue that you are engaged in that isn’t getting the attention it deserves—that you think this audience should know about? 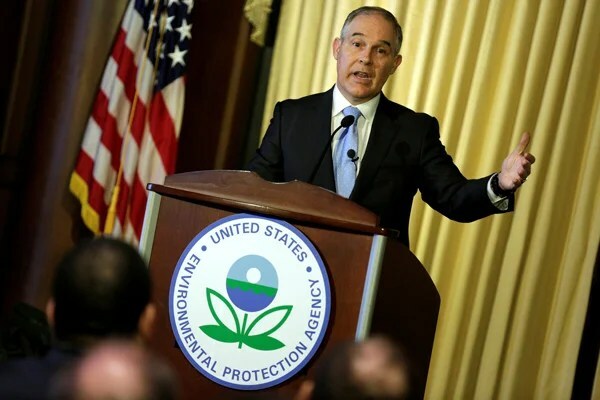 Pruitt: Well, I think one that isn’t talked about a lot is last year Congress adopted some amendments to the Toxics Substances Control Act, TSCA, and created new responsibilities for our agency. For instance, chemicals that enter the flow of commerce, we have to approve those chemical before they enter the stream of commerce. When I came into this position, we had a backlog of over 700 of those chemicals. We cleared those out by July of this year. We focused resources and we provided certainty to folks across the marketplace on whether those chemicals could be used in an effective way. We’re implementing those changes to TSCA that I think provides certainty to those that are regulated. There’s great optimism across the country, except in Washington, D.C., so that means things are going really well. The other area I want to talk about is the Superfund arena. I mentioned the one site in West Lake, Missouri. I’d love to tell you that is an isolated example—that that is just one of many of the 1,336 sites that we regulate. We have many, unfortunately, sites that have languished on that list since inception of the program in the 1980s—sites that been there for decades with respect to no decision and very little action. The American people deserve, in my view, answers and leadership in how to remediate those sites. That’s the most tangible benefit that we can provide to folks environmentally. 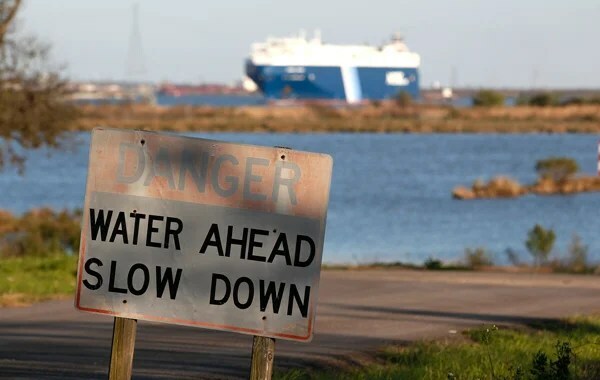 Just recently, San Jacinto, a site in Houston that is off of I-10 in a harbor there, where there is a bunch of barge traffic. There was a site listed around 2009-2010, and it has dioxin on the site. When the hurricane came through there was much concern about the dioxin being released into the barge traffic and it impacting folks’ health. The remedy that has been in place for the past 10 years was literally putting rocks on top of the site to prevent release. It sounds crazy but that’s exactly the case. When I was there after the storm, I said that is not acceptable. We’re going to make a decision for the betterment of the community to fix that site and provide permanence. Just last week I signed that record decision giving direction on how we are going to provide that relief to prevent the release of dioxin into the water supply in Houston, Texas. We’ve got to take concrete steps to prevent those environmental issues. We’re doing such good work that no one, I really shouldn’t say no one … folks see it in the communities. There’s great optimism across the country, except in Washington, D.C., so that means things are going really well. It’s not a question about whether climate change occurs. It does. It’s not a matter of whether man contributes to it. We do. The question is how much do we contribute to it and how do we measure that with precision? Now, on this issue with respect to climate change, it’s not a question about whether climate change occurs. It does. It’s not a matter of whether man contributes to it. We do. The question is how much do we contribute to it and how do we measure that with precision? It’s a little bit more difficult questions like when we have individuals telling us in 2017 that they know what the ideal global average surface temperature should be in the year 2100, I think there should be a debate around that. I think there ought to be discussion around that very issue. There are some, perhaps in this very room that believe that it poses an existential threat. If it poses an existential threat, I want to know. If it’s more important than ISIS and North Korea, I think we better know about it. So let’s have a real, meaningful discussion about it. The American people deserve, in my view, an objective, transparent, honest discussion about what we know and what we don’t know, with respect to CO2. It’s never taken place. That’s the reason I’ve been proposing a red team, blue team exercise where we bring red team scientists in and blue team scientists in and they would engage in a multi-month process asking of each other these very difficult questions to help inform the American public on these issues to help build consensus toward this very important issue. The American people deserve, in my view, an objective, transparent, honest discussion about what we know and what we don’t know, with respect to CO2. It’s never taken place. Here’s the last thing I will say about it. That is a very important exercise and it’s something that Steve Koonin actually published in the Wall Street Journal about three or four months ago. I think it was a well-written piece and you ought to go read it. There’s actually another piece that Bret Stephens wrote in the New York Times about this very issue where politicians have taken information that we know and stretched it so far on this issue that it strains credibility. We need to have a very honest and open discussion about this as a citizenry and as a country with respect to what we do. But here’s the other thing, what are the tools in the toolbox? That matters. Remember what I said earlier: the only authority I have is the one Congress gives me. We have to ask and answer the question, What does the Clean Air Act say to this issue as far as regulation of CO2? The last time the Clean Air Act was amended—anyone want to guess when that was? I know you study this every day—1990. Twenty-seven years ago. If you go back and read post the amendments, the Clean Air Act from 1990, Congressman [John] Dingell is not the most conservative member to ever have served in Congress. Congressman Dingell said to regulate greenhouse gas emissions under the Clean Air Act of 1990 would be a glorious mess. The Clean Air Act was set up to address local and regional air pollutants, not the global phenomena of GHG and CO2. Where is it in the Clean Air Act that the EPA has the authority to declare war on any sector of our economy? I don’t see it. And that’s what the last administration did. It ended under President Trump. We have to ask the question, one, What do we know? And let’s inform ourselves about it. But we also have to ask ourselves, What can we do about it and what tools are in the toolbox? I can’t make that up. That’s what the last administration did. When they made it up, they got sued and they got stays of enforcement like the Clean Power Plan, which does not achieve any environmental outcomes and creates uncertainty in the marketplace. It was part of their war on coal, their war on fossil fuels. I have to ask you a question rhetorically. Where is it in the Clean Air Act that the EPA has the authority to declare war on any sector of our economy? I don’t see it. And that’s what the last administration did. It ended under President Trump. Bluey: I have a couple of questions about what it’s like to work at EPA headquarters. Specifically, are you running into any internal or political challenges with a staff that might not be willing to carry out the mission you articulated earlier? Pruitt: Let me say a couple of things. One, having led a business, having been in that space and whatnot, I didn’t start from the premise that folks weren’t willing to be partners. In fact, the very first day I was there, I talked about rule of law and process and federalism, as I indicated to you. But also said to the folks there that I was going to listen and I was going to learn from them, but that we were going to lead, we were going to make decisions. And so I’ve tried to exercise good will in working with folks. I don’t want people presuming certain things about me that are not based in fact and I shouldn’t presume certain things about others. I’ve tried to lead that way at the agency. That being said, I do think that there is a lack of urgency in some of these areas with respect to Superfund and otherwise, and we’re revitalizing those areas actually. And we’re actually getting the things done that matter and holding folks accountable. I don’t want people presuming certain things about me that are not based in fact and I shouldn’t presume certain things about others. I’ve tried to lead that way at the agency. There’s a gentlemen I brought into leadership. He worked for Gov. [Doug] Ducey in Arizona, and I was with Governor Ducey a couple of weeks ago and I thanked him for his contribution. But this individual came to me—he led the [Department of Environmental Quality] there in Arizona, and then he went into the Cabinet under Governor Ducey—and when he came into leadership at the DEQ in Arizona he said, Scott we had over 700 people that we employed and I started focusing on metrics and performance and everyday asking and answering what progress are we making? Are we actually remediating sites? And measuring that every single day. And there were some people in the agency, he said to me, that weren’t into that. They weren’t into accountability. And those folks just kind of left. And at the end of that process, it went from an agency of around 700 to an agency of around 350. Let me ask you something, What’s Republican and Democrat about improving air quality? Where’s the political issue around that? 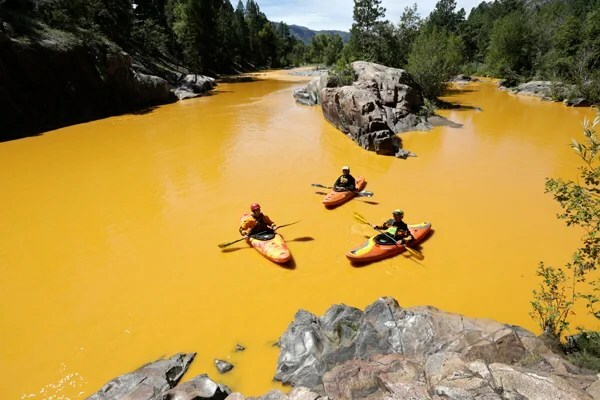 Where’s the political issue around avoiding Flint, Michigan, and Gold King, Colorado? Where’s the Republican/Democrat approach to remediating Superfund sites and actually making sure they’re actually reused and communities can enjoy those areas once again? Their shouldn’t be any political margin on any of those issues. These are not controversial things. We ought to focus on the good work of the agency, respectful of law, engage in partnership. And you know what’s going to happen? Good things. We ought to celebrate that as a country. So the Darwin Effect is in full force and we are going to make sure that we achieve accountability. Just one other thing—permitting. Permitting has been a big issue with respect to infrastructure. Permitting, sometimes, at our agency, has not been, ‘Is there an issue and how do we fix it?’ It’s been obstructionism. It’s taken a decade, or 12 years or 15 years—and I’m not making this up—where it takes that long to make a decision on a permit. That’s not a decision. That’s simply no, just cloaked in no decision, right? When I met with Henry, I said, ‘Henry we’ve got to have an outside time where all permits are processed. Let’s establish a timeline that all permits are going to be processed within X number of years or whatever.’ This was one of our first meetings and I decided two years or something; let’s find the right time. He said, Scott, ‘I was thinking more like six months.’ I said, ‘I love you Henry.’ So by the end of 2018, every permit that we issue, up or down, you’re going to know within six months. Bluey: What has it been like working with President Trump? What can you tell us about it? Pruitt: It’s been wonderful. As I shared with you earlier, the president is full of courage and he’s full of action. He wants results. That’s what the American people want. They don’t like all the blather, they don’t like all the labels, they don’t like all the bumper stickers. Let’s actually achieve things. That’s what he’s done his whole life. [T]he president is full of courage and he’s full of action. He wants results. That’s what the American people want. I seek every day, and I mean this sincerely, to bless him. I want to bless him and the decisions he’s making. I want to carry out my responsibilities at our agency in a way that is respectful of the things I’ve talked about today. There’s so much optimism across our country—with respect to all the various states and stakeholders that there’s a different trajectory. You know, several years ago there was a book that I picked up called “The Culture Code.” It’s a book written by a French sociologist, and I don’t normally pick up those books, but this was an interesting book where his business, his career is that he engages in surveys and focus groups. Coca-Cola or IBM will hire him and say, ‘OK, you go out and find the code, the one word that describes my company.’ He did that, that’s his whole career. He wrote this book and he talks about these various areas, but he spent one entire chapter on America. He surveyed all these people across the country, focus groups, asking questions. He boiled the code word for America down to one word—one word. Anybody want to guess what it is? Dream. We have nothing to be apologetic about as a country. We’re the best in the world. We feed the world, we power the world. And oh, by the way, when it comes to environmental stewardship, we’re better than anybody else. And I’ll tell you as a country, we’ve lost that a little bit. We’re a little bit more risk averse than we used to be. We don’t dream and aspire like we used to be. This president is reinvigorating that. This administration is reinvigorating that. We have nothing to be apologetic about as a country. We’re the best in the world. We feed the world, we power the world. And oh, by the way, when it comes to environmental stewardship, we’re better than anybody else. And that’s the Gospel truth. Let’s not be apologetic. Let’s lead with action. And that’s what the president is doing. I love serving with him. I love serving him. And there’s much optimism, much hope ahead. Commentary by Rob Bluey. Originally published at The Daily Signal. Even if we implement the Clean Power Plan to perfection, the amount of climate change averted over the course of this century amounts to about 0.02 C. This is so small as to be scientifically undetectable and environmentally insignificant.